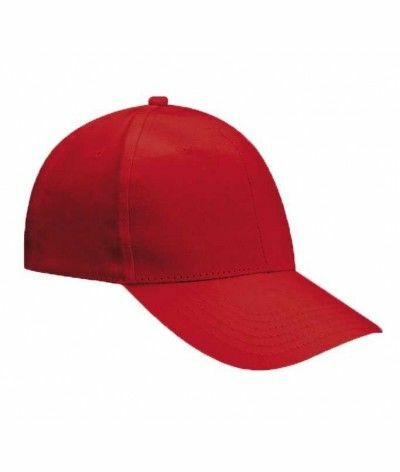 cap, hat There are 32 products. 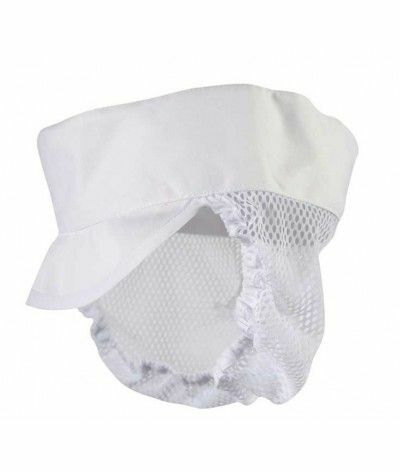 Essential basic hygiene in the cooking profession, our shop offers several models headgear, your professional outfit will be perfect and without being inesthétique.Ces products are certified by HACCP. 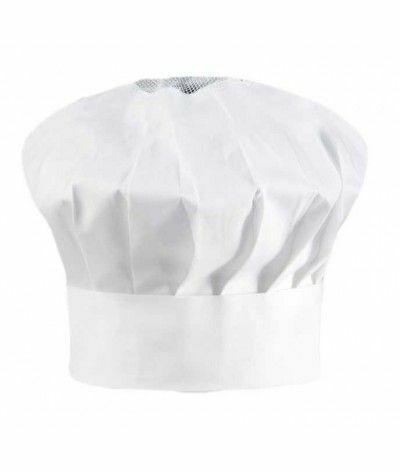 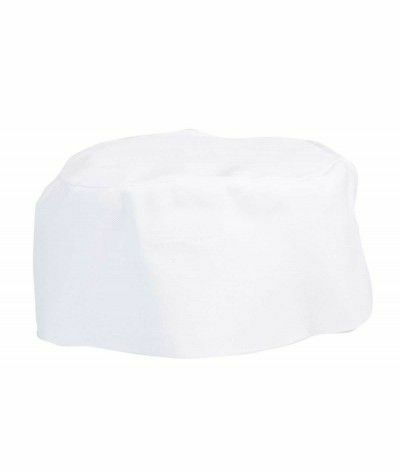 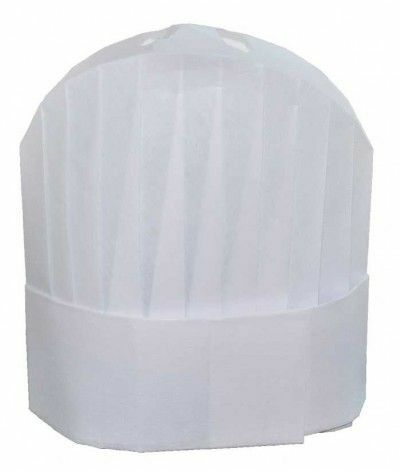 White chef's cap, 100% cotton, adjustable, for man or woman. 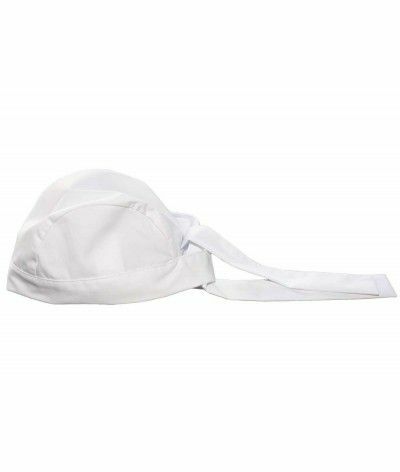 Toque in intissée.Ce viscose product is adjustable and perforations on the top réutilisable.Des provide good heat dissipation. 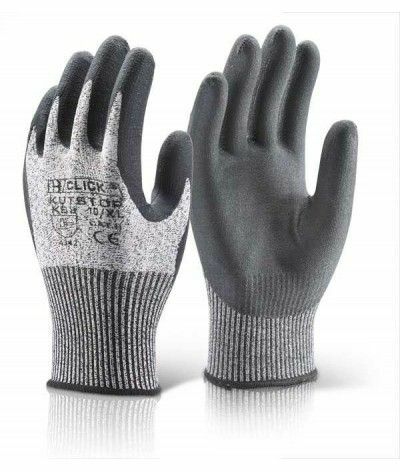 Sold in packs of 5. 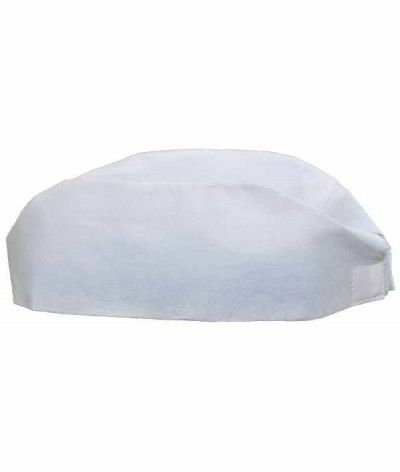 Real disposable protective cook, this cap in viscose nonwoven material is adjustable with Velcro and reusable. 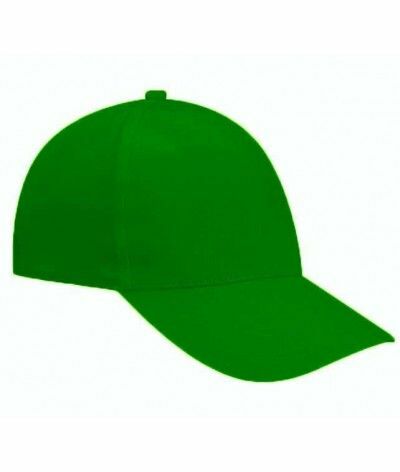 Sold in packs of five species. 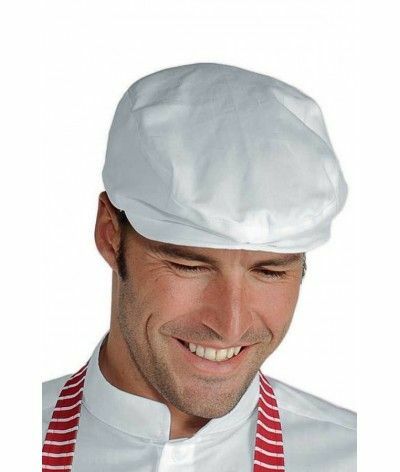 Toque true pizzaiolo, Palmas brings additional comfort with its air vent on top allowing the heat to escape, important detail when working near a single pizza.One size. 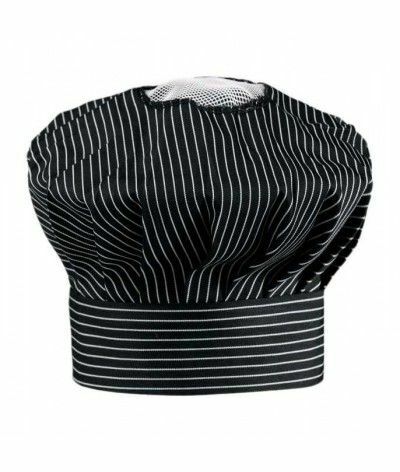 Black Toque Blanche line to cook, cotton, ultra comfortable with its ventilation grill on top, one size, adjustable headband with velcro. 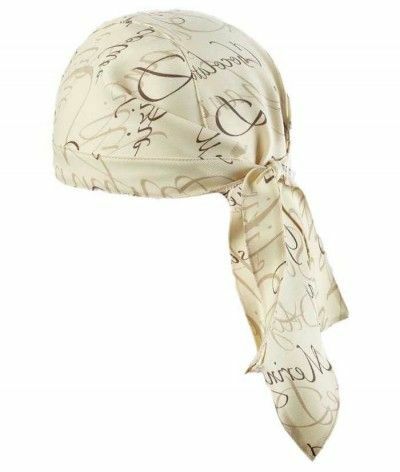 Bandana specially created for the coffee shop can be also used in pastries bakeries, fast food, food-trucks and traditional restaurants. 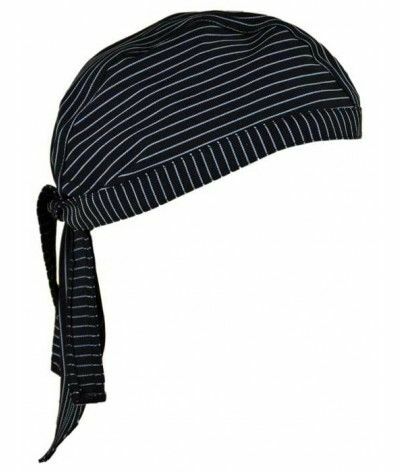 With this unisex bandana with black and gray, Hygiene and aesthetic stripes are on the go. 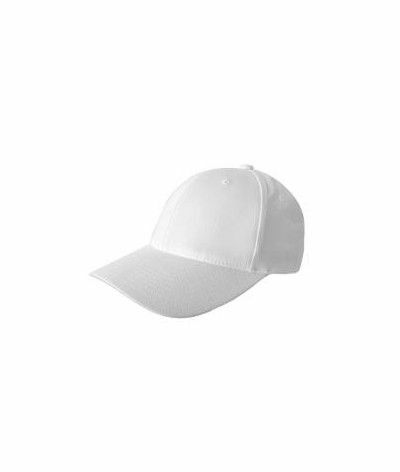 Comfort of cotton available in 4 colors. 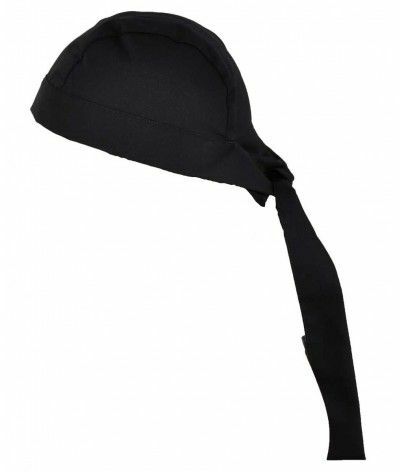 Adjustable drawstring. 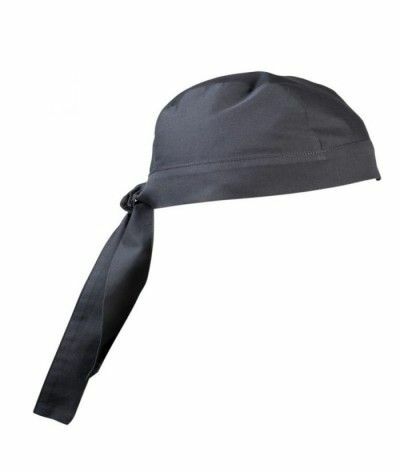 Protect your preparations couleur.Véritable actor HACCP standard, the bandana is available in the store gentleman veste.fr in several colors. Bandanna fuchsia pink for chef or cook, this product is the ideal complement to Energy Kitchen jackets and Expression Black with pink trim, and you wear a complete set of the most beautiful effect. 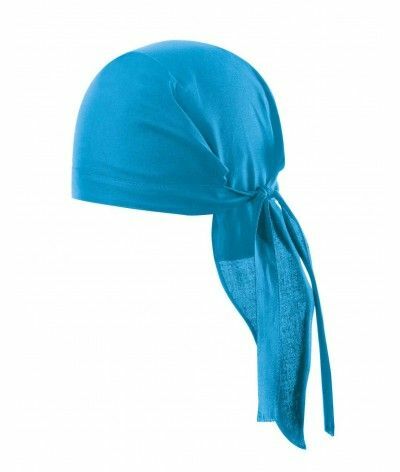 Bandana blue color to cook, this article is ideally harmonizes with the Nero Blue jacket that you can find in our catalog jackets with short sleeves. 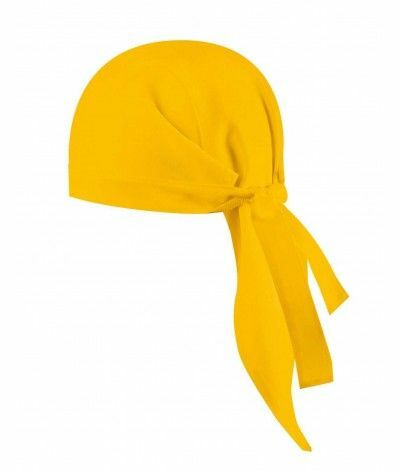 Bandana yellow complement your kitchen holding a mandatory part of the HACCP standard for hygiene in single professionnelles.taille kitchens. 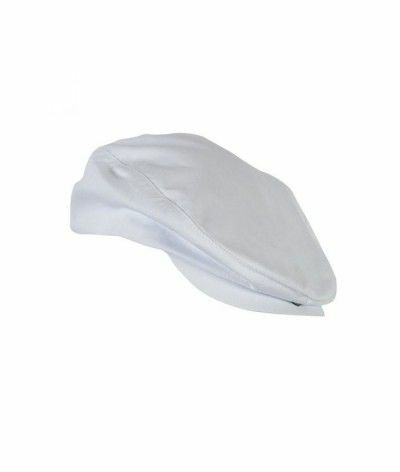 Green cap with tricolor stripes, white, red, top of the cap is ventilated thanks to its gate cotton, lightweight 30 grams, one size adjustable with Velcro. 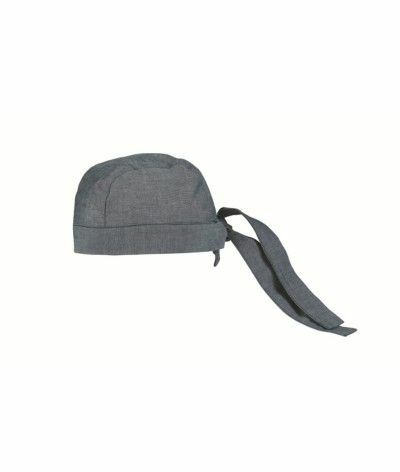 Original Cotton Cap, one size, adjustable headband with velcro, machine washable at 90 °, current look. 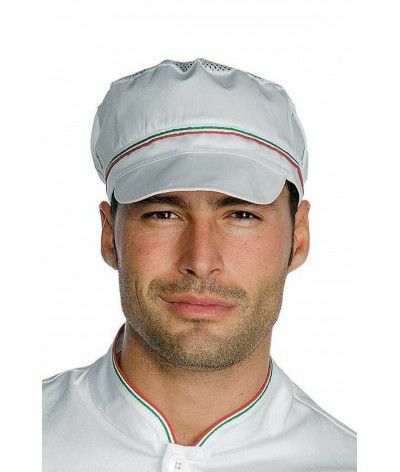 Green cap for pizzaiolo, one size, adjustable velcro, color cook this accessory will help you identify fully as professional italiens.Existe products in White and Red. 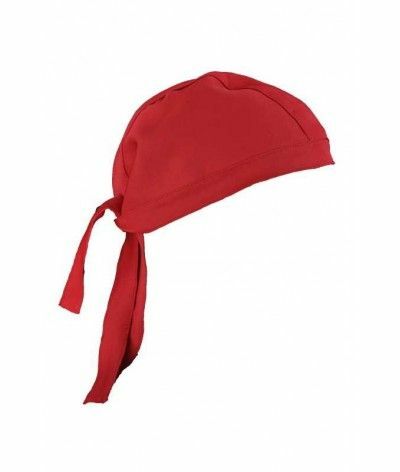 Cap red Cotton Italian chef or pizza maker, one size, adjustable headband with velcro, ideal complement to the neck turn red already sold in our shop. 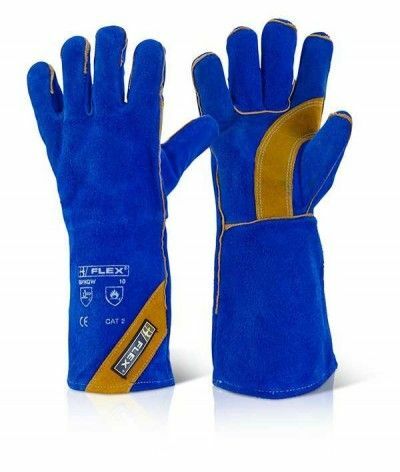 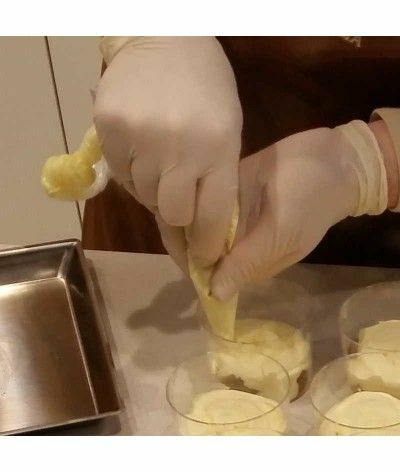 Because more hygienic equal more sales, equip you of these latex gloves for your culinary preparations, powdered with cornstarch, they are approved for EN455 utlisation alimentaire.vendu per box of 100 pairs. 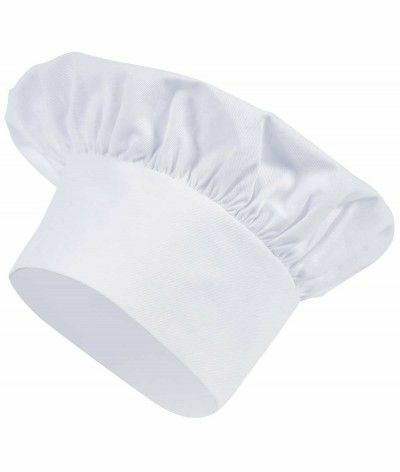 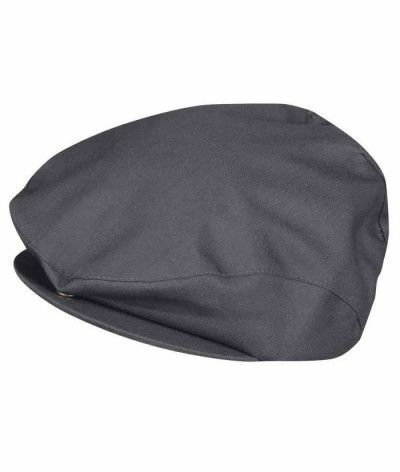 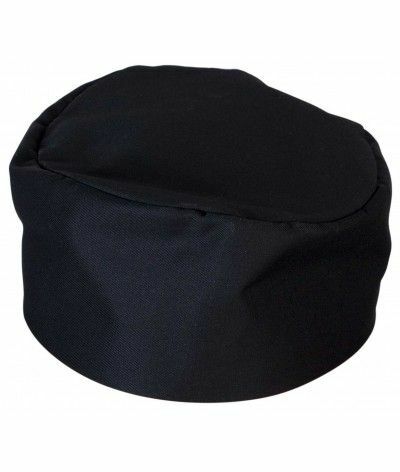 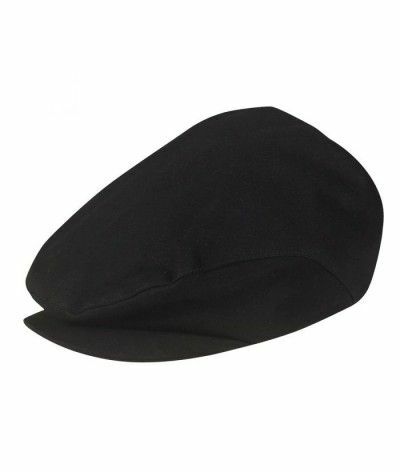 Black chef's cap, 100% cotton, adjustable, for man or woman. 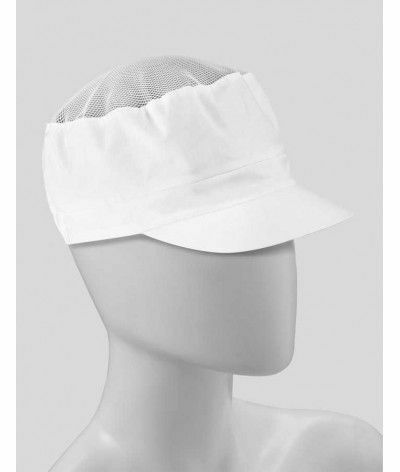 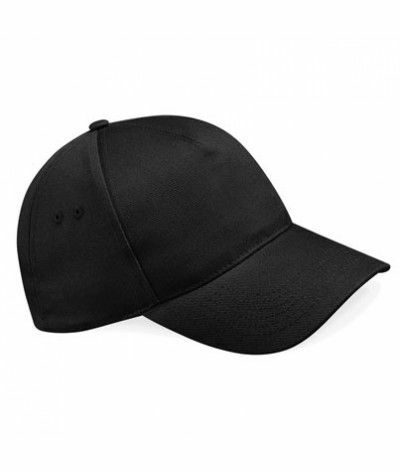 Cap to cook with breathable mesh on top to better evacuate chaleur.Cet item is available in one size, fits all sizes thanks to its elastic on the back of the cap. 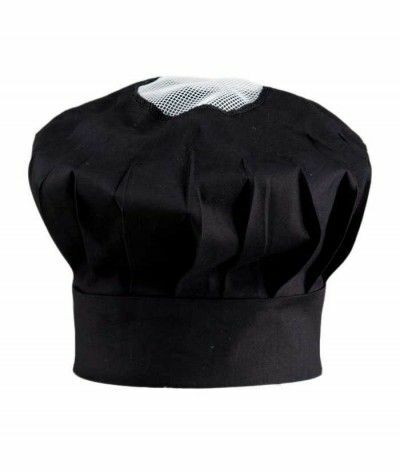 black chef's hat 100% cotton with a vent on top, washable at 60 °, one size, the headband is adjustable Velcro.Complément ideal of keeping black kitchen.